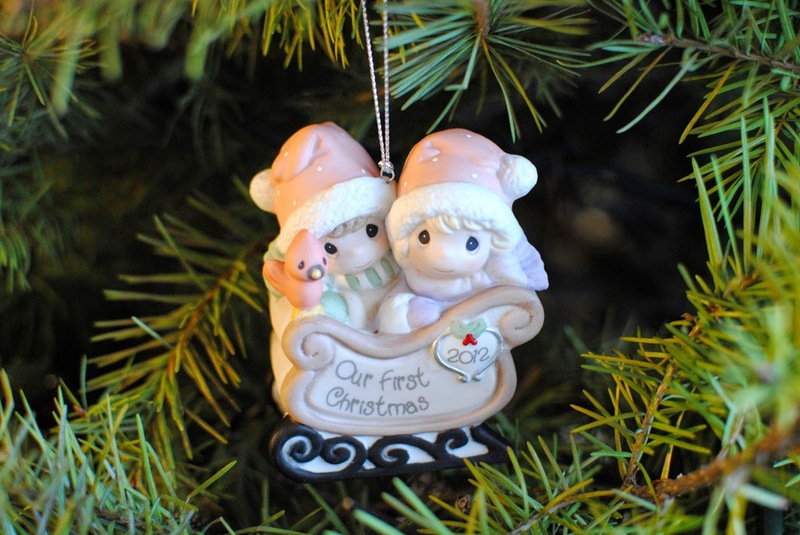 For our first Christmas as a married couple, we bought an adorable Precious Moments ornament to celebrate the occasion. 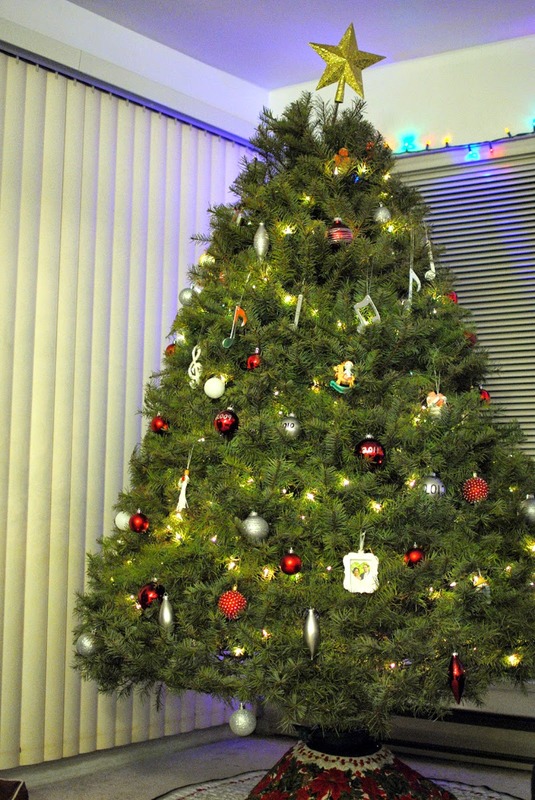 It's on our gorgeous tree, named Winston (pictured below). We got Winston at the start of December, but he still looks and smells amazing. Mike and I are blessed to have so many good friends and co-workers. 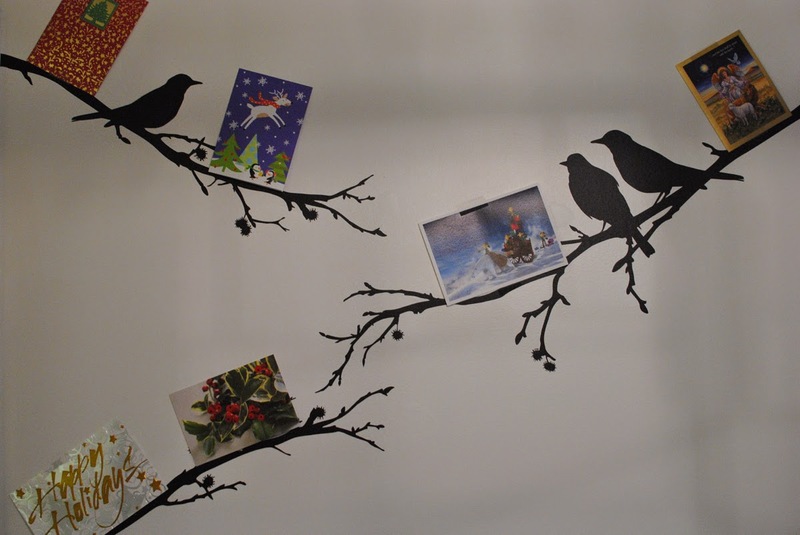 We put up the cards we received on our wall decal as sort of a second Christmas tree! Thank you to everyone who thought of us this year! 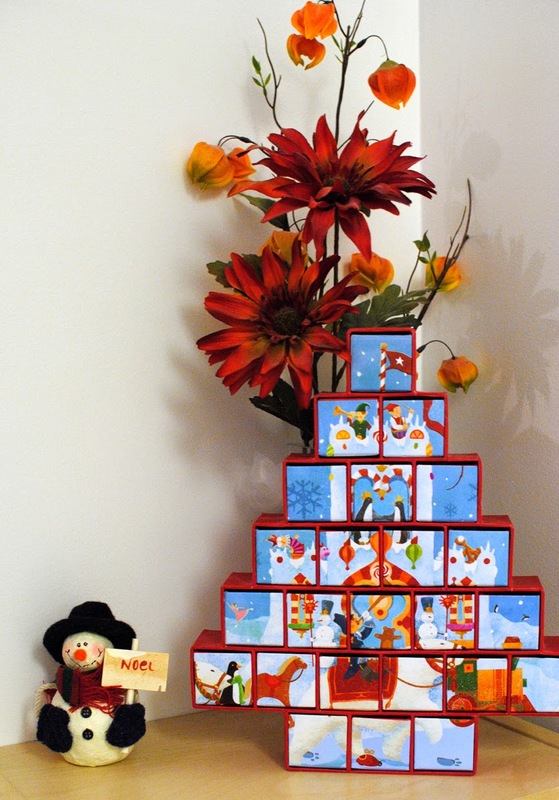 It always surprises me how quickly the advent calendar switches over! This tree I bought from Starbucks a while back. I don't even bother putting chocolate in it anymore because we have so much chocolate in the house already! Also, we displayed the cute snowman I got from a co-worker last year. 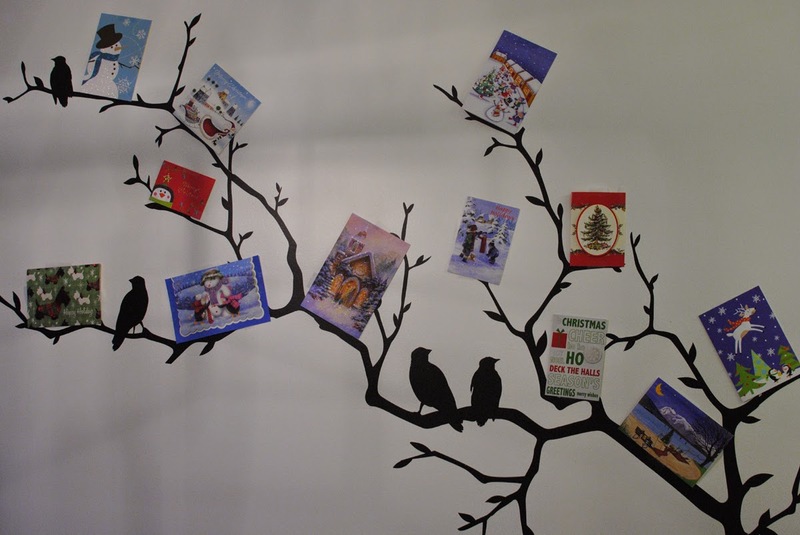 Even our bookshelves are decked out in holiday cheer. 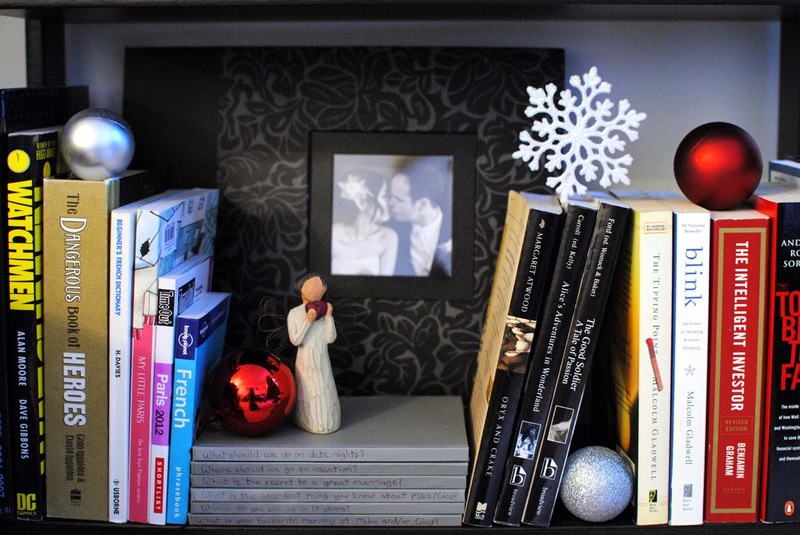 That's our wedding scrapbook in the back, with the angel on top of our wedding guestbooks. 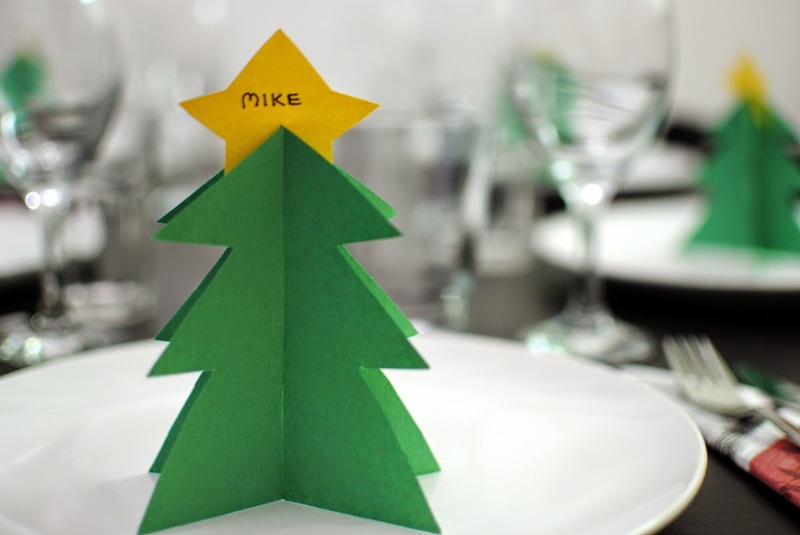 I made little 3D Christmas tree placecards for our dinner. 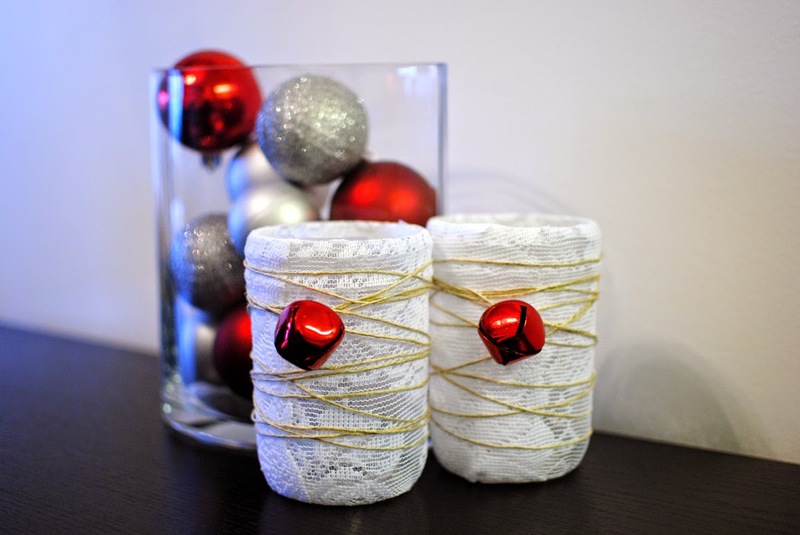 The inspiration came from Martha Stewart's version (here), but I just used the simple kindergarten version of 3D trees rather than her printout. 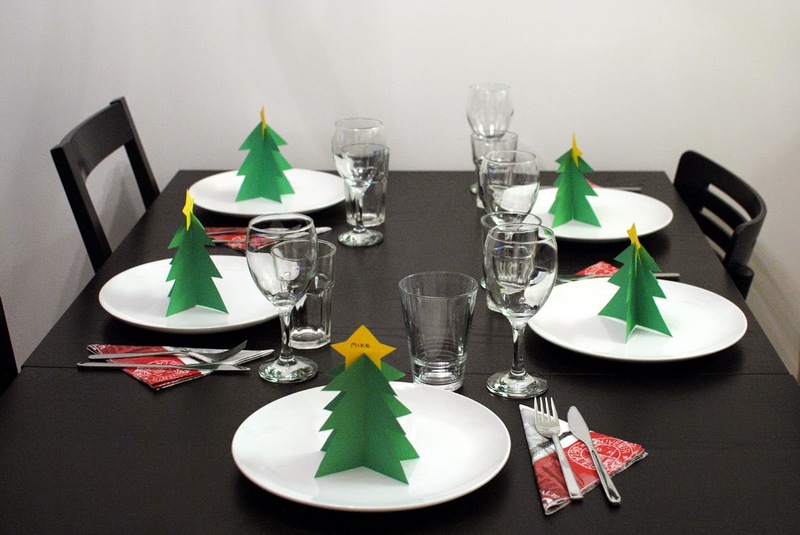 This Christmas, we had dinner for five, including myself, Mike, our moms, and a family friend. So maybe I was a bit too hungry once the food came out to take a picture of the meal. Oops! Anyway, I hope everyone is enjoying a relaxing holiday, and starting to make new years resolutions for January (and forgetting them after the first two weeks)!